As you may have read in some of my earlier posts on Cocktail Culture, I am a NY Giants fan. While I am, of course, deeply saddened by their inability to make the Super Bowl (let alone the playoffs) I am excited that the Baltimore Ravens will have a chance at winning it all! This may seem unorthodox for a Giants fan, but I went to college in Baltimore and after living there for four years, I love Charm City, and I will be rooting for Baltimore this Sunday! Since I unfortunately can’t be in Baltimore for the Super Bowl (don’t feel too bad, I was in Baltimore when the Ravens beat the Patriots last Sunday and it was fabulous) I’m going to try to bring Baltimore to me. In one of my previous posts from this summer: “Crab cakes and football”…and Crushes, I wrote about a trip to Baltimore that involved lots of Orange (and other flavored) Crushes. Both crab cakes and Crushes will definitely be making an appearance at my Super Bowl gathering this Sunday, along with Old Bay to season my fries and wings, and of course some Berger Cookies for dessert. Downtown Baltimore after winning the AFC Championship! Photo courtesy of D. Zanzero! Early on in the Cocktail Culture archives you will find a lovely post of a Winter Warmer recipe. With the zero degree weather settling in and the cold wind howling outside, I thought it necessary to dig up some more winter cocktails to warm me up until the cold finally passes…only two more months until the first day of spring! 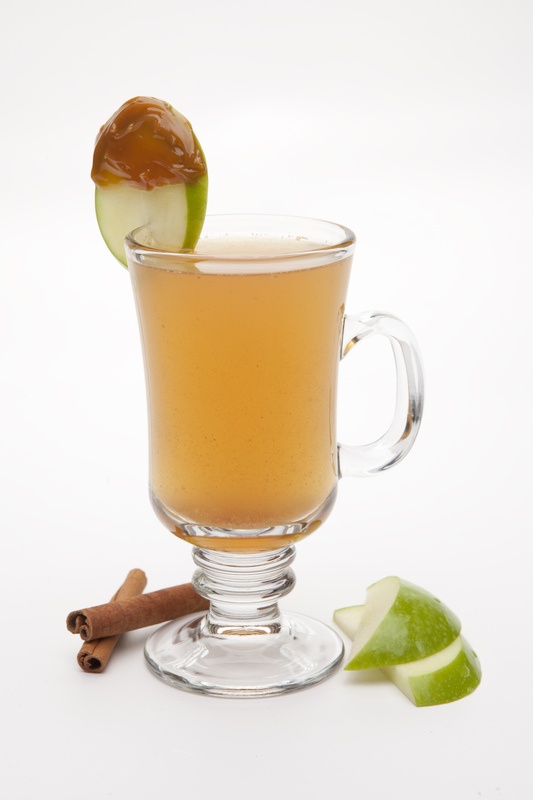 Warm drinks like tea, hot chocolate and hot apple cider all work wonders at warming me up during the winter months, and they work even better when spiked with your favorite booze! Whiskey is also a go-to choice of mine when looking for a cocktail to help me fend off Old Man Winter. Place liquids in a cocktail shaker with ice. Shake to blend and chill. 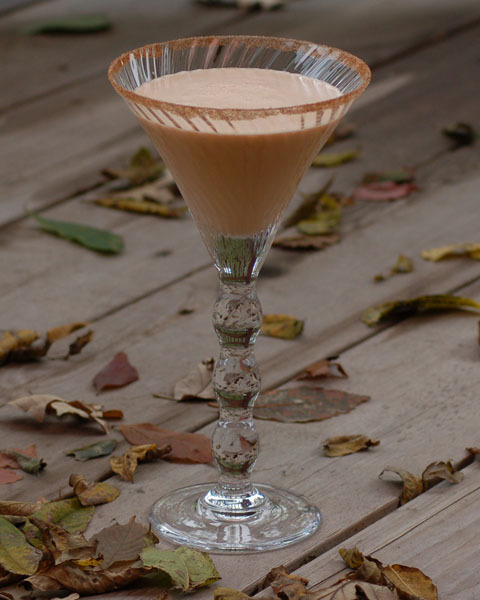 Strain into a cocktail glass rimmed with cinnamon and sugar. Try to stay warm everyone and enjoy! The first full week of work after the holidays is finally over, and I’m ready to relax and unwind from the busy work week with a nice refreshing cocktail. With the icy cold temperatures outside, and the chilly winter breeze, I’m in the mood for a nice whiskey drink to warm me up. The inclusion of club soda and White Peach Schnapps in the Jameson Whirlaway makes for a light and refreshing addition to the classic taste of Jameson Irish Whiskey. Mix all ingredients except Club Soda in a shaker with cracked ice. Pour into a tumbler and top with club soda. So I just found out today that yesterday was National Bubble Bath Day! Since I love bubble baths, I decided I want to celebrate this wonderful holiday, even if I am a day late. Bubble baths (to me) are the definition of relaxation: light some candles, get some tunes playing, grab a great book, and of course enjoy a nice cocktail. It doesn’t get much better than that folks! I found in our lovely Cocktail Culture archives a recipe for a Sparkling Original Cinn Punch. This sweet and sparkling creation will warm you up on a cold winter night, but is also refreshing enough to enjoy when soaking in a hot bath. The recipe creates multiple servings, but I plan on scaling down the recipe so the punch can be a single serve cocktail! It is now 2013 and so far all the New Year has brought me is a new pesky cold that does not want to leave me alone. Luckily, it’s Friday and I plan to enjoy some rest and relaxation all weekend long. I also plan to enjoy a nice Hot Toddy to soothe my throat from the lovely coughing that won’t seem to stop. My grandmother always suggested drinking a Hot Toddy as a cure for the cold, and right now I’m willing to try anything, especially if it’s a cocktail! Method: Pour all ingredients into a mug or glass with a handle, stir until the honey is dissolved, drop in the cloves and garnish with a thin slice of lemon. Pour the bourbon, schnapps and lemon juice into an Irish coffee glass or mug. Stir well. Fill with hot apple cider. Garnish with the green apple or a cinnamon stick. As a disclaimer I would like to point out to you all that I am not doctor (nor am I even close to being a doctor) and if you really are sick I always recommend seeking professional advice. Also, if you are already taking any cold medicine to remedy your cold, I do not recommend mixing those cold medicines with alcohol!! !